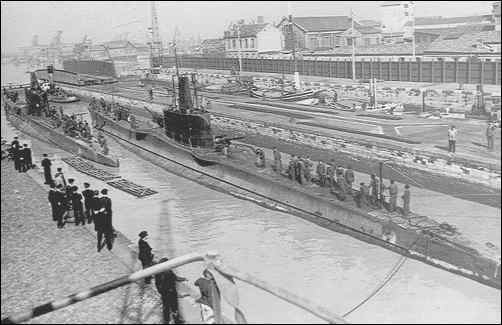 Fate Launched as the Italian submarine Luigi Torelli. Taken over at Kobe, Japan on 10 May, 1945 and commissioned as I-504. Surrendered at Kobe, Japan in August 1945. Sunk by the US Navy on 16 April 1946 in the Kii Suido between the Japanese islands of Honshu and Shikolu. to the Betasom flotilla at Bordeaux, France on 5th October, 1940. These boats were roughly 1060tons on the surface, in many ways they were similar in measurements to the German type IXB, they had 8 torpedo tubes and carried 14 torpedoes and had a complement of roughly 57 in Italian service.